Here's another brilliant addition to the UK slots market from the team at Elk Studios with 5 reels and up to 178 ways to win, this ones from Elk Studios. This theme sends you all the way back to the time of the Pirates when they would be out terrorising the oceans and looting merchant ships. You too will be firing the cannons hoping to sink the mightiest of ships. The themes not the only great thing about this game, the graphics are able to display it beautifully and the gameplay is simply amazing, with a range of fun and innovative new bonus features offered by this game you’ll be sure to fall in love with this new slot. Find slot games here which are created by Elk Studios. This game is set on the calm, luscious tropic water of Port Royale, the game is unrivalled in terms of its graphics, the backdrop to this slot is simply stunning and we’re sure if you’re a lover of nice graphics this slot is just for you. There are also some online best slot games to play in terms of graphics. 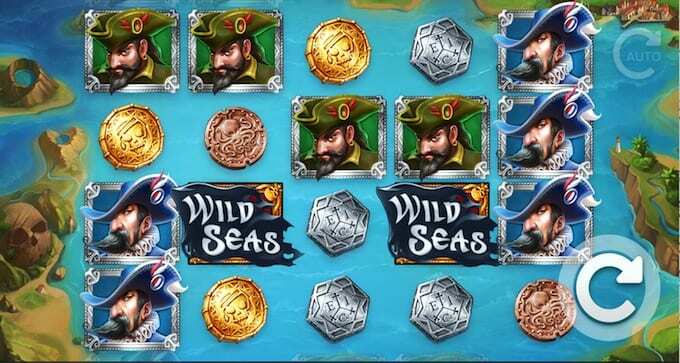 Free Spins Feature – find the wild seas flag on the 2nd and 4th reel both at the same time to trigger the free spins. All ships captain symbols are changed so that only one of them appears. Reel 5 is swarmed with wild sailing ships that move to the left each free spin. You must fire the cannons and hit a ship 3 times to sink it and gain a treasure chest to be used in part 2. Part 2 Feature – Any treasure chests now turn into sticky wilds. More sailing ship wilds get added to reel 5. When a bomb barrel lands on reel one the free spins will end. This represents yet another amazing addition to Elk Studios growing portfolio. They’ve really brought this theme to life with stunning high detailed graphics that perfectly display the tropical waters in the background. The symbols are equally just as well designed, really taking you into the pirate themed. Also, not to be overlooked is the games well-designed gameplay, with a wealth of bonus features that will not only help you find more treasure but keep you entertained for hours on end as well. 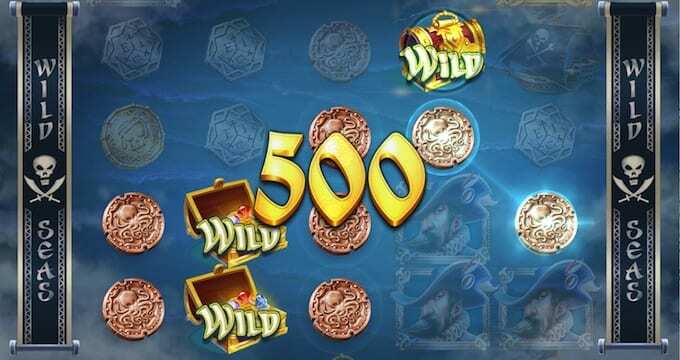 We’re sure you’ll love this slot and if you do you can try Treasure Raider.